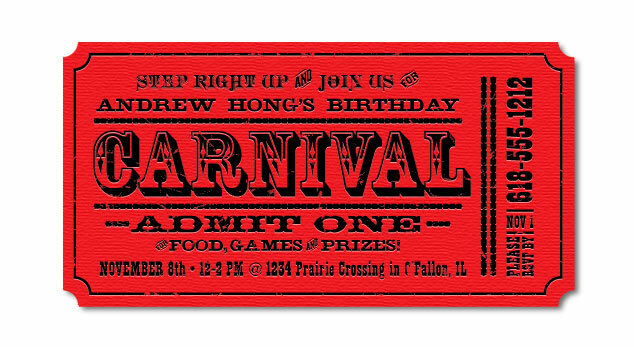 My nephew is having a circus/carnival inspired birthday party and here are the invitations I designed for his party. We keep getting request for this invitation, so here is the deal, we will customize this invitation for $75.00. We know this is not cheap for a child’s party, but we are not an invitation store, we are a high-end design firm. We typically do not even do projects like this, but it was originally for my nephew. 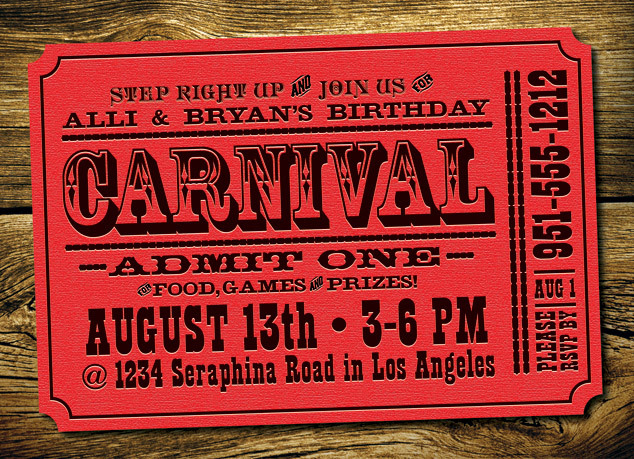 Here is the latest custom invitation we setup. We designed it to fit a standard 5×7 postcard which you can have printed on-line very inexpensively. If you are still interested in having it customized, email us at info@visuallure.com. Previous Post Make a custom font from your own handwriting!